My dad was an appliance repairman, but before that he was a car mechanic – “the best damned speedometer repairman in Elgin” I heard people say (or perhaps it was just him saying it). 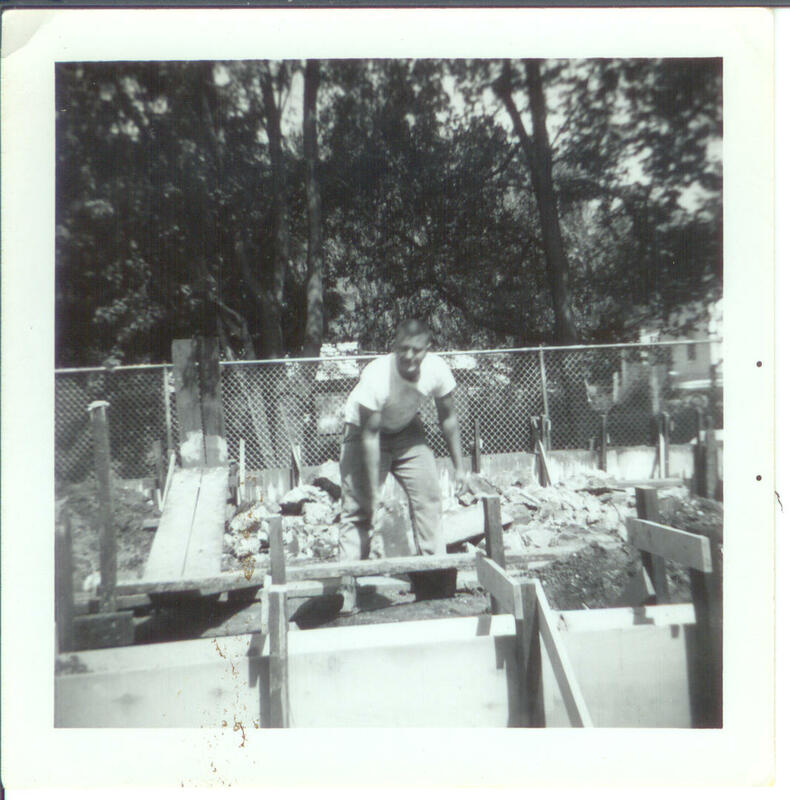 He kept us afloat by taking side jobs – cars or appliances and worked in the two car garage he’d built for that purpose. The only cars that went in that garage were other people’s cars being fixed, and there were times that the entire space was empty, except for a refrigerator or air conditioner. Those times I would sneak out to the garage. I’d set up my violin stand, remove the top part that holds sheet music, and start singing into my “microphone”. It was better than a shower because your voice had farther to go, but nothing to cushion it. My favorite two songs to sing were from Mary Poppins. I’d first sing the Nanny Song. We won’t hide your spectacles so you can’t see. Put toads in your bed or pepper in your tea.. I also used to bellow out poems in that garage. If anyone saw me, they would have fallen over laughing so hard, I’m sure. I was serious. But I also had/have a tin ear. So, while the the words may have been sung with feeling, the tune would not have been recognizable. I love these songs. When I was growing up, there was a Jane and Michael in the neighborhood. I could only think “Banks” when I saw them. This is great! What a wonderful vignette of Lil’ Dona.